PRESS RELEASE: Music fans are being given the opportunity of a lifetime to see legend Tom Jones, Cerys Matthews and The Feeling perform a unique and intimate gig as part of Cancer Research UK's Sound & Vision event at the iconic Abbey Road Studios. Sound & Vision, sponsored by Shepperton, takes place on 24 February 2011 and will be hosted by BBC Radio 2 DJ 'Whispering' Bob Harris. Bob is patron alongside the 'fifth Beatle' Sir George Martin. The event, which is now in its sixth year, has raised over £900,000 for Cancer Research UK's lifesaving work. 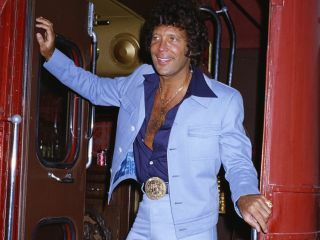 Tom Jones said: "I'm very pleased to be able to be a part of Sound & Vision this year. Abbey Road is a great place to play, and The Feeling are lovely fellas and a fantastic band, so I'm looking forward to sharing the bill with them. Sir George and Bob have put together an excellent evening's entertainment that will aid the important work of Cancer Research UK, so I'm really looking forward to it." As part of Cancer Research UK's fundraising activity, an online auction of unique music heritage memorabilia is live today on eBay. The charity has teamed up with renowned retailer, Harrods, to display the items in an exclusive exhibition located in its Musical Instruments department on the third floor until 15February. Fans can also bid for the last 10 VIP tickets to this incredible invitation-only event via the Sound & Vision eBay site, www.soundandvisionebay.com. Those lucky enough to be there on the night will have the opportunity to bid for memorabilia from artists including Oasis, The Beatles, The Rolling Stones, Eric Clapton, Jimi Hendrix and Take That, as well as a unique Abbey Road VIP experience. Cancer Research UK is the world's leading charity dedicated to research into beating cancer. It is entirely funded by the public so events like Sound & Vision are essential in helping to fund its life saving work. The event is sponsored by Shepperton, a performance management and technology consultancy. Shepperton has pledged to donate five percent of all revenue from new clients to Cancer Research UK which will go towards Cancer Research UK's life saving work into beating cancer.